Each Friday I’ll serve up a photo and give you the story behind it. This week, tofu skewers. A common street food in Burkina is the brochette, a skewer of lamb, goat, or beef. 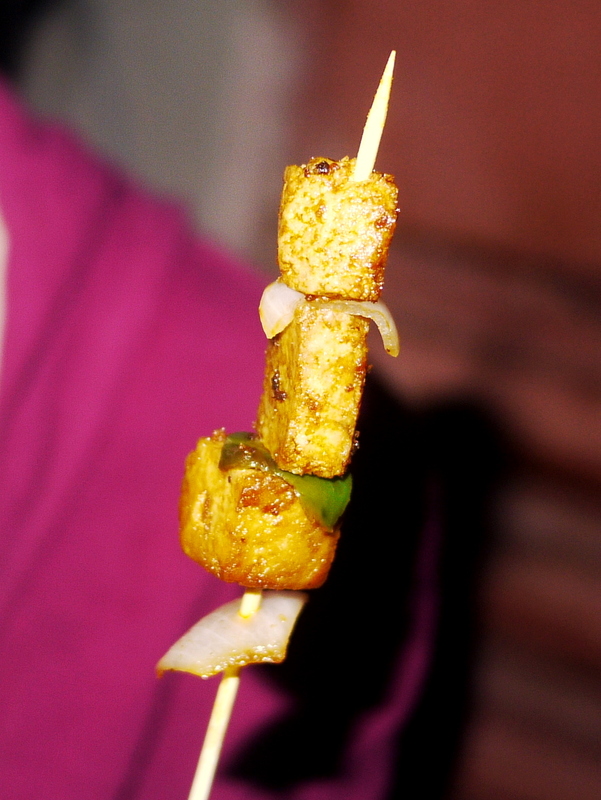 However, the skewer pictured above is different because it isn’t made of meat at all – it’s tofu, just prepared in a familiar style (key to acclimating a culture to a product it is not used to). I was able to sample a few skewers in Leo during the bike tour, and again in Ouaga during the fair and they were wonderful. Interested in making your own from scratch? Check out Althea’s step-by-step guide.